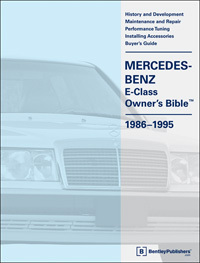 "Anyone who owns or wishes to own a 300E or one of its variants should make sure that Mercedes-Benz E-Class (W124) Owners Bible 1986-1995 has a place on their bookshelf..."
The E-Class Owners Bible" is an E-class buyers guide, maintenance handbook and technical reference source wrapped into one. 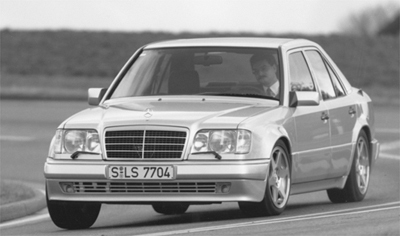 It is full of tech tips, service hints and system descriptions, plus lots of insightful information about the W124 E-Class chassis. This book can help steer you through the purchase of your first Mercedes-Benz, provide the information necessary to maintain your E-Class to factory standards, give you the assurance to speak knowledgeably to your service professional and provide you with the hot setup for better road handling. The prospective buyer will also find tips on what to watch out for, why a pre-purchase inspection is important and why one model may be preferred to another. 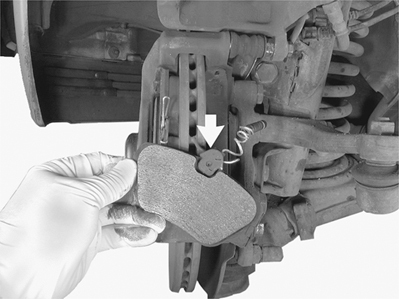 Do-it-yourself owners will discover a huge hands-on maintenance chapter to help keep their E-Class at peak efficiency. 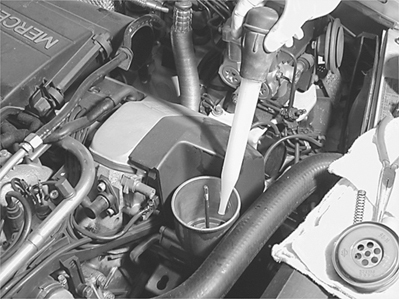 Comprehensive maintenance procedures, including HVAC microfilter replacement, brake pad and rotor replacement and engine oil and fluid change procedures listing the necessary tools, tightening torques and fluid capacities. Year-by-year analysis of E-Class technical highlights, including the inspiring 500E sports sedan and when the multi-cam M104 engine replaced the M103 single cam workhorse. Buying tips on how to get the best car for the least amount of money, things to look for during the test-drive and how having a prepurchase inspection can potentially save you thousands of dollars. Seasoned advice on choosing the right repair shop, be it an authorized Mercedes-Benz dealer, an independent specialist or an all makes-all models shop. Detailed technical information on vehicle systems, including engines, suspension, drivetrain, body and interior features. Performance modifications, including a listing of parts needed to upgrade to the Sportline suspension. A brief historical overview of Mercedes-Benz, the worlds oldest car company. To bring you this authoritative volume, Bentley Publishers has teamed up with Stu Ritter, a 25-year independent Mercedes-Benz repair shop owner/technician and current technical editor of The Star (the magazine of the Mercedes-Benz Club of America).